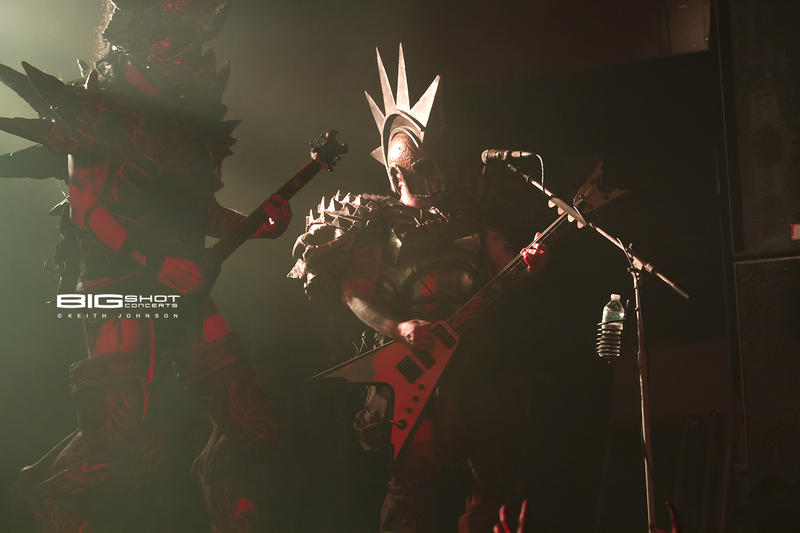 Intergalactic shock rockers GWAR spilled the blood of gods over Revolution Live in Fort Lauderdale, Florida on December 5, 2017. The scumdogs of the universe are back on the road touring the insignificant planet earth. 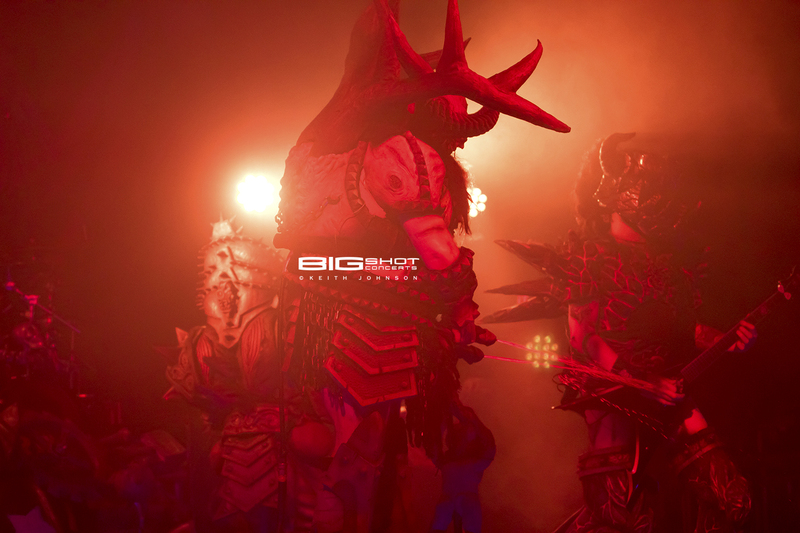 GWAR’s current vocalist is The Berserker Blothar. 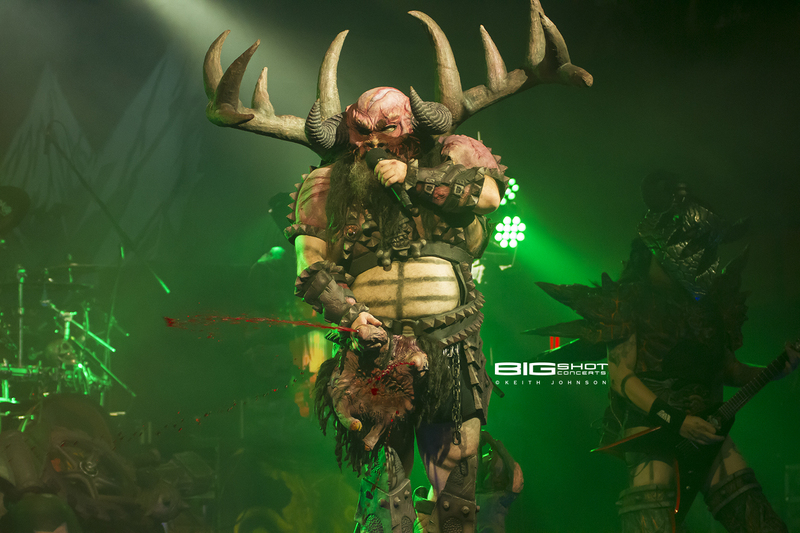 This super-sized frontman was resurrected from the past to cause blight in the music world. 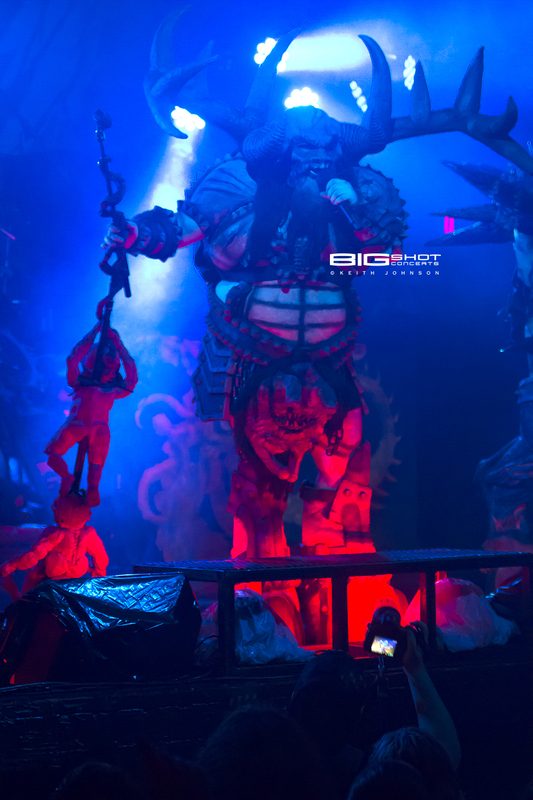 Armed with a sword, shield and microphone, he shamelessly squirted his body fluids onto the audience while singing of despair. 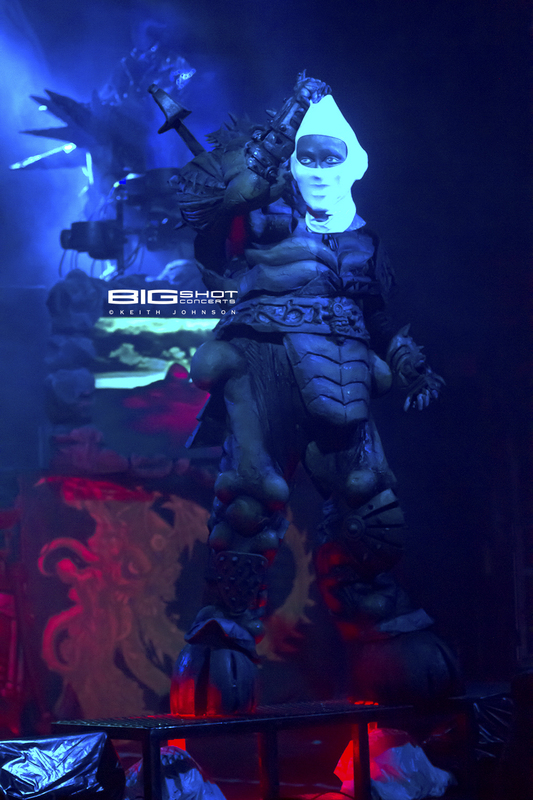 Balsac the Jaws’O Death likes to dupe newbie concert goers into believing he’s the tall silent type. 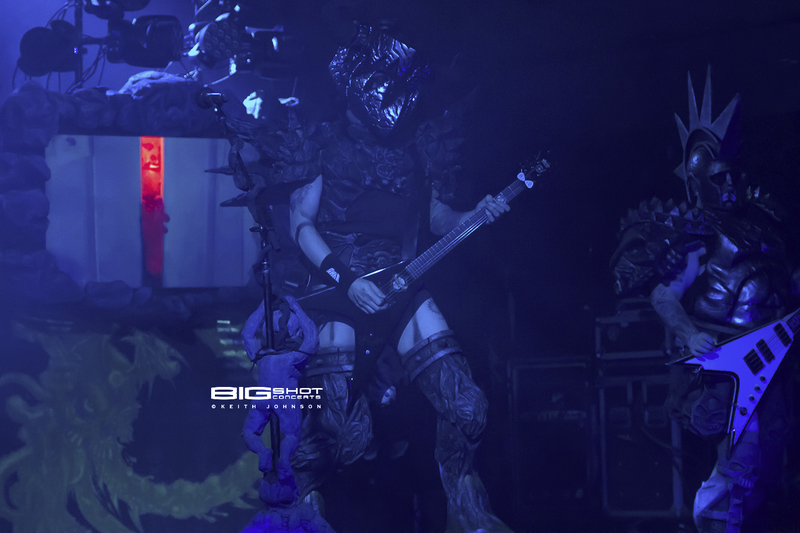 But as soon as he drags his pick across the guitar strings, there’s little doubt that Balsac is actually a maniacal shredder. 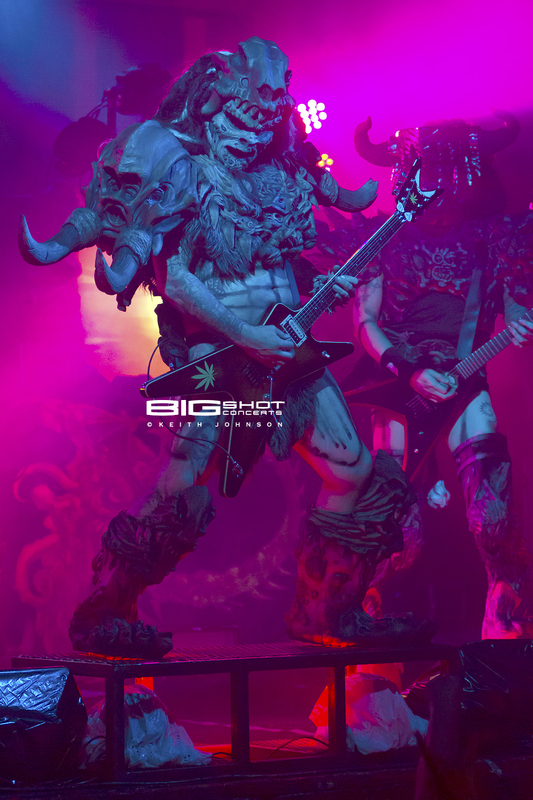 Pustuslus Maximus is a beastly axe man with a reputation for making his six string scream. As a member of the Maximus family, he’s proud to carry on the tradition for showing disdain for anything that’s not vile. 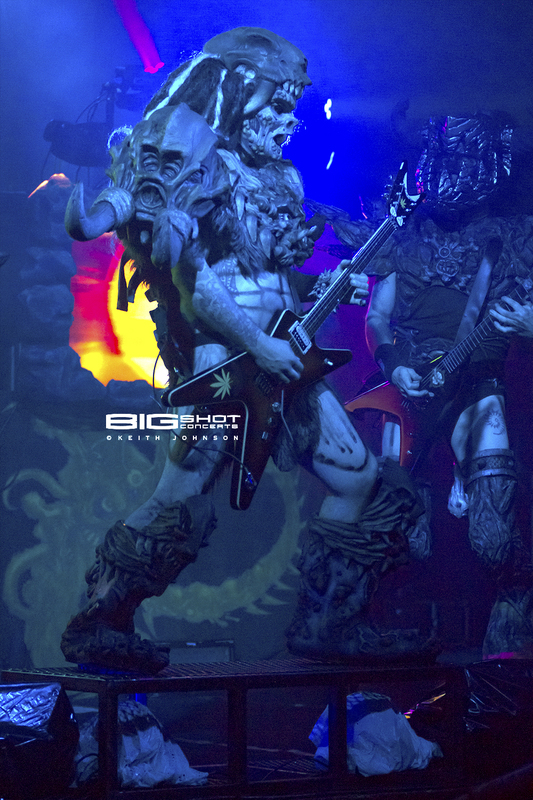 Beefcake the Mighty held down the low end with girth and forceful thumping. 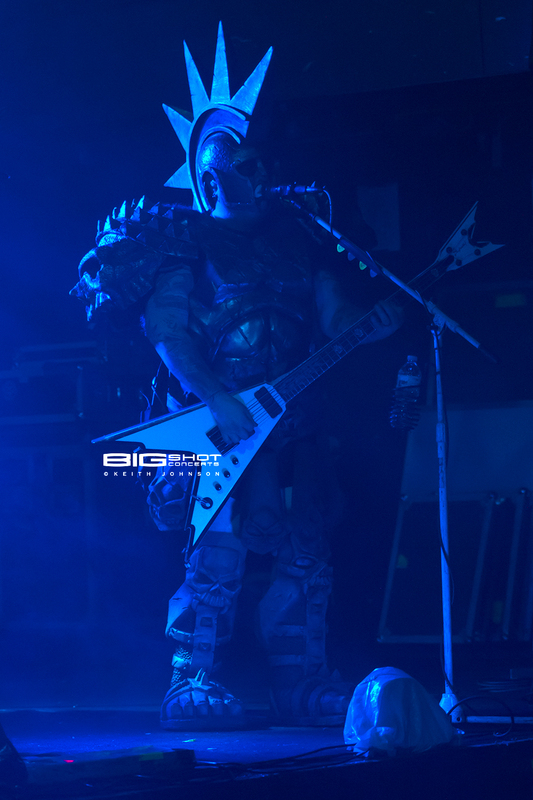 Dressed for battle, he attacks his bass duties with all the vengeance of wayward space warrior hellbent on rockin’ and rolling. 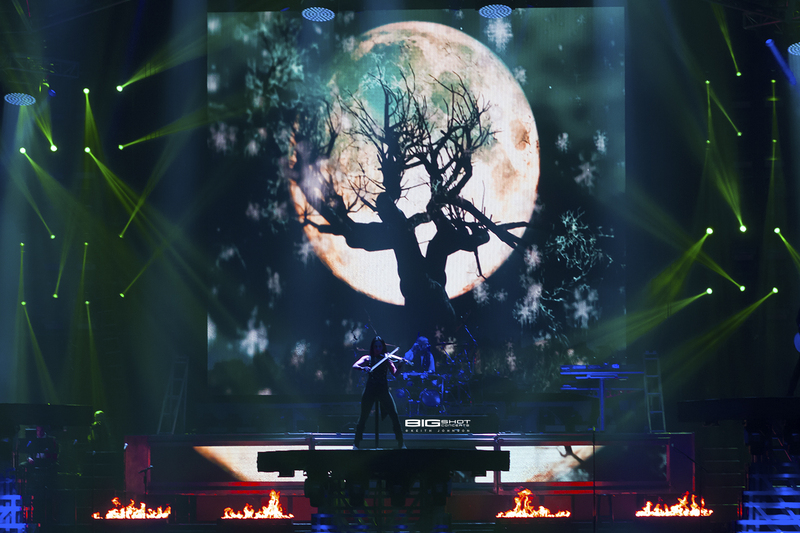 Jizmak Da Gusha showed his fluidity behind the drums with rhythmic chops. 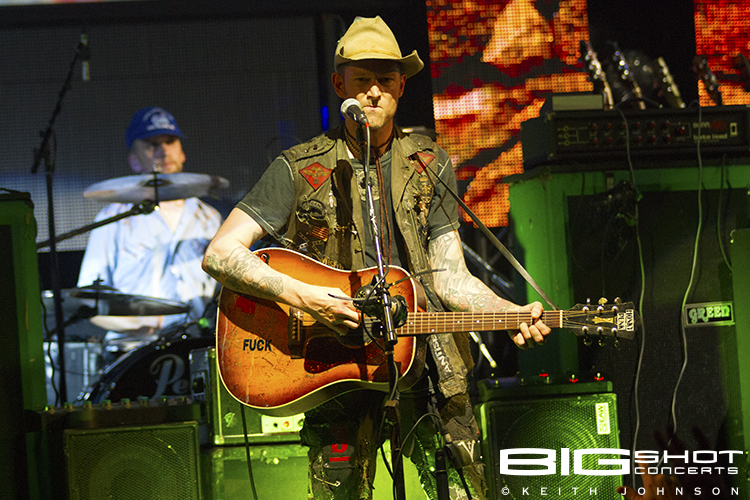 Sporting choppers that were large and protruding, his playing got the audience howling with rabid excitement. 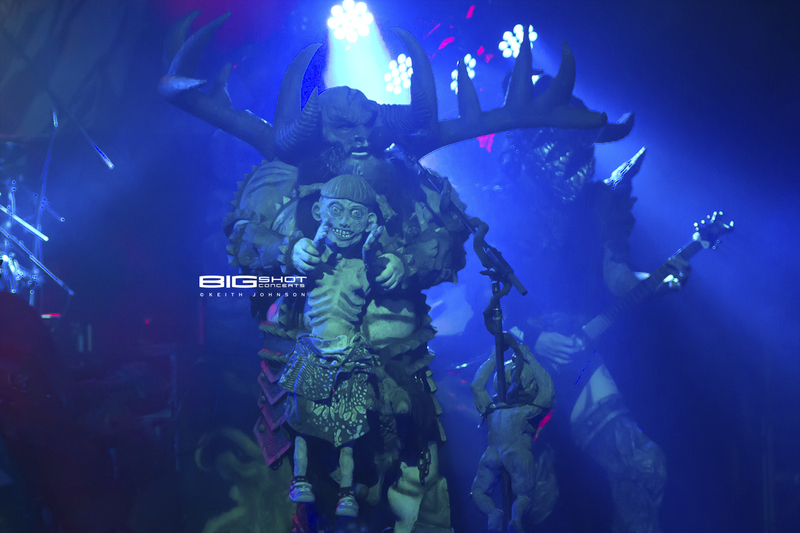 As usual, the Slave Pit did an artful job making sure the band’s stage design and props were grotesque, bombastic and over the top. 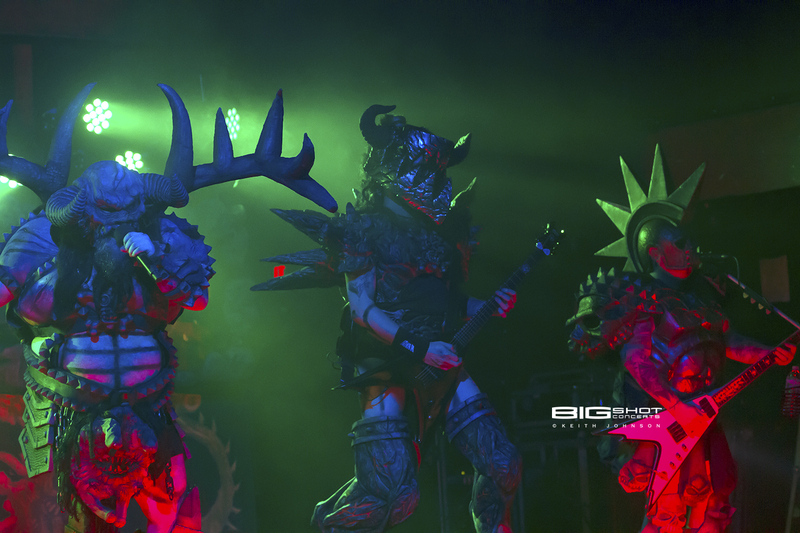 And GWAR made sure everybody had a bloody good time. 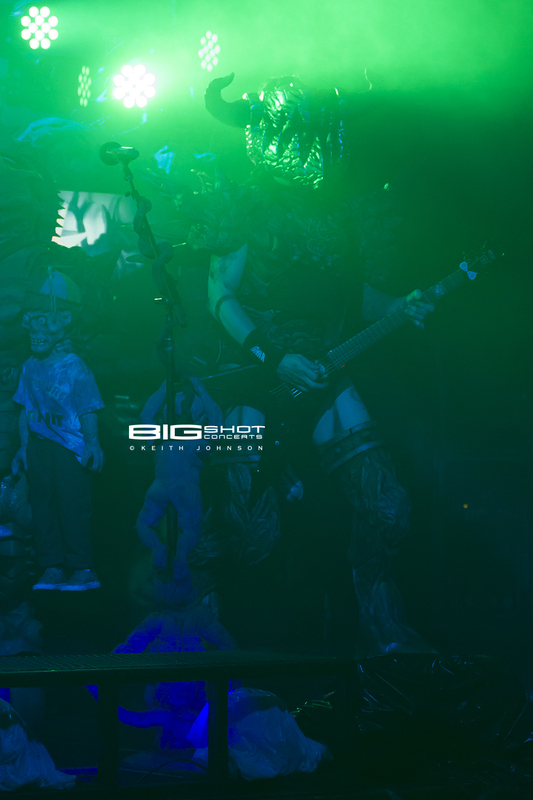 Creepsylvania rockers Ghoul provided direct support for GWAR. The outrageous band played hard while concealing their identities under burlap sacks. Their music was aggressive and had a total lack of compassion for humanity in their lyrics. They were the perfect choice to rile up the fans. I am Legend and US Bastards got the evening started with loud, angry sets.